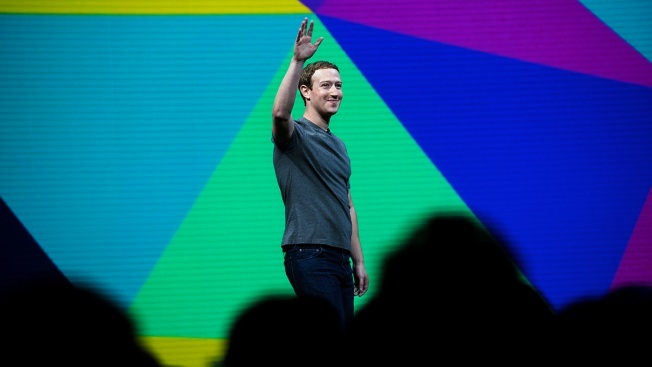 FILE - Facebook CEO Mark Zuckerberg speaks at his company's annual F8 developer conference, April 18, 2017, in San Jose, Calif.
Facebook announced last week that it would start prioritizing “meaningful posts from friends and family in News Feed” with less content from pages, publishers and brands. But former Facebook employees told NBC News that the network’s laser focus on profits has failed its users and that its move now to self-regulate may be too little, too late. While there are still lessons to be learned from how the social platform was used to sow discord ahead of America's 2016 presidential election, critics say Facebook — and CEO Mark Zuckerberg — aren't acting quickly enough to prevent meddling in the upcoming midterm elections. "Facebook is a living, breathing crime scene for what happened in the 2016 election — and only they have full access to what happened," said Tristan Harris, a former design ethicist at Google.